Dialogue in the Dark (DiD) needs your help to build our new home. We started our work in 2012 at Petrosains, moved to Jaya 1 and have spent the last 2 years at Sunway University. As of 1 January 2017, our operations office is temporarily located at Taman Midah, Cheras. We have been actively seeking for a new venue to house our Experiential Learning Centre and we recently identified a shop lot in PJ11 Bandar Sunway (nearby Sunway University). This venue will suitably accommodate our educational workshops and corporate events. It will also house our unique Cuisine Dining in the Dark experience. DiD's Experiential Learning Centre has been crucial to the training of visually impaired persons (VIPs). 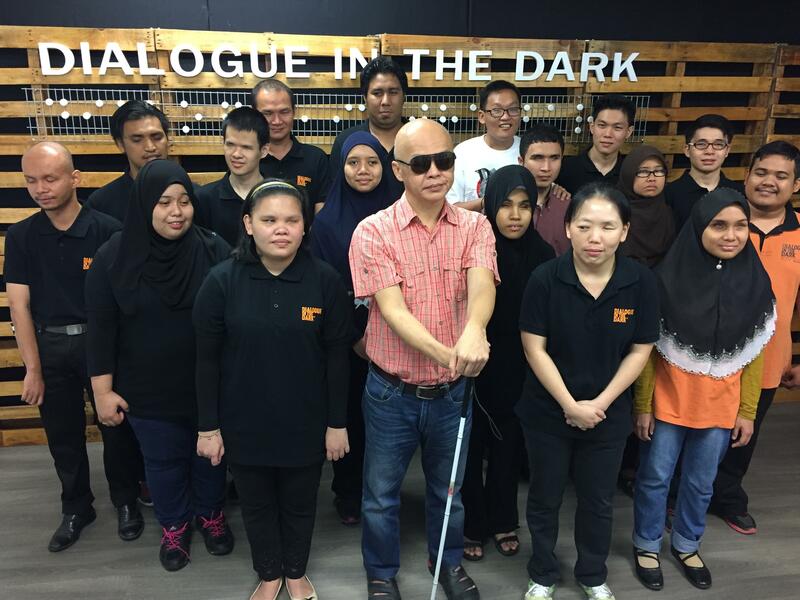 DiD provides a safe and sustainable employment opportunity for the blind and visually impaired Malaysians who would otherwise have limited and less than desirable options when it comes to sourcing for jobs. Since our inception, we have successfully trained over 100 VIPs. By pitching in to help with the setup of our venue, you will be enabling the lives of other VIPs. To build our new home, we need RM90,000.00 for rental costs, renovations and utilities. For the sum of RM 10, you have contributed to helping us move a step forward to make a difference in the lives of this often marginalized community. To show our gratitude, we will mention your name in our thank you video. If you wish to remain anonymous, we trust that you were be greatly blessed. For your pledge of RM 50, we will give each pledge a limited edition goodie bag. Each goodie bag will contain DiD MY souvenirs. For your pledge of RM 90, you will receive a ticket to our Cuisine Dining in the Dark experience. It is a culinary journey led by one of our visually impaired facilitators to present a dinner to you in complete darkness. For your pledge of RM500, your Corporate logo will be displayed on our website / Facebook page and at the entrance of the centre for 1 year as your branding/ CSR effort to assist in DiD's organization. For your pledge of RM850, you will be able to experience our Cuisine Dining in the Dark experience with a group of 10 people. It is a culinary journey led by one of our visually impaired facilitators to present a dinner to your team in complete darkness. For your pledge of RM1000, your Corporate logo will be displayed on our website / Facebook page and at the entrance of the centre for 1 year as your branding/ CSR effort to assist in DiD's organization.